#8. Diplomats f/ Master P "Bout It Bout It"
Between "Bout It Bout It," "Push It," and "Certified Gangstas," the Dips have shown a healthy respect for their hip-hop forerunners—but also the courage to put their own spin on their revamped versions. 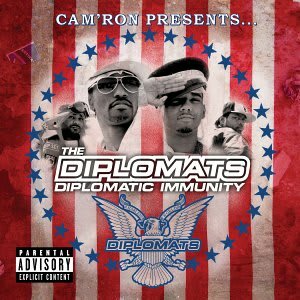 The selection of this Master P classic, a track beloved everywhere but on the East Coast, illustrates why the Diplomats were one of the few New York groups to get love in the Dirty South. Lines from Cam like "Snow so white/Only thing missing the seven dwarves" didn't hurt either.